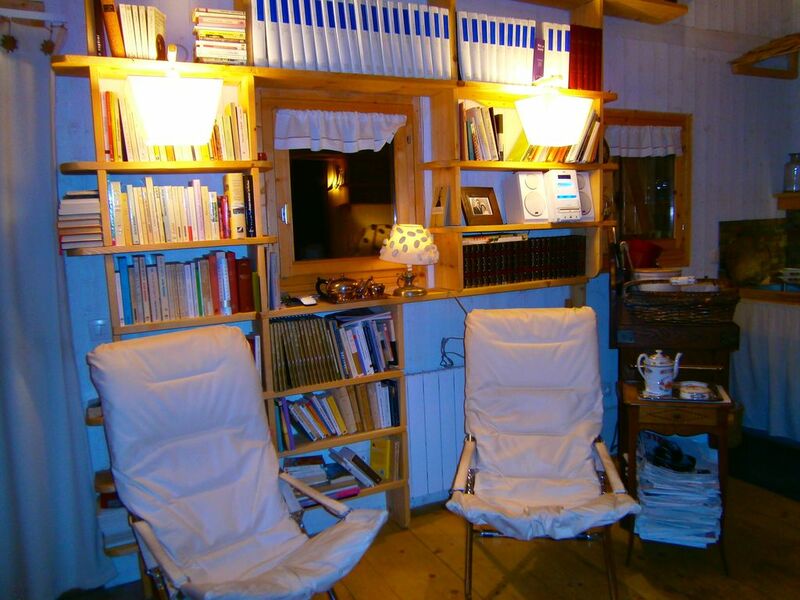 This chalet welcomes a couple and 2 children, in a refined atmosphere, with vast library and many games available. Bathroom with Italian shower, wall storage in room, full household electrical appliances and new, washing machine and dryer available, wood stove and electric heaters, internet-wifi, parking on site in the summer and immediate vicinity Winter. Walking distance to the ski lifts, snowshoeing on the spot, Nordic trails on site, Swiss border 3 km, all shops 4 km, Les Rousses, small red train winding through the forest to Nyon-Lac Léman, mini cruises to the French shore, Yvoire, Evian, or the Swiss Riviera, Montreux, Vevey, site Lavau, classified UNESCO, Geneva and Lausanne at 1 hour, spa at Divonne. This summer, get high! The heat wave affects holidays, supposed to rest us. The chalets are at 1200 m (there are on the same ground 2 small chalets which accomodate each one a couple, see announcement 1271801), ideal altitude to the hikers. Moreover, the National School of Nordic skiing and biathlon, which prepares the champions, is located opposite the chalets, hidden by the forest. If it's hot during the day, the nights are cool, which will bring you energy for the next day's hike. Everything is designed for a comfortable and different stay, facing the forest, facing the essential. I designed the bathroom from a marine, a wave and rocks. The walk-in shower ensures comfort and the sink gives an exclusive touch to the favorite room. Do not hesitate to call, this is the way most congenial to learn more.